The New York Times reported that law enforcement officials began an inquiry into whether Trump was working as an agent of Russia when he fired FBI director James Comey. 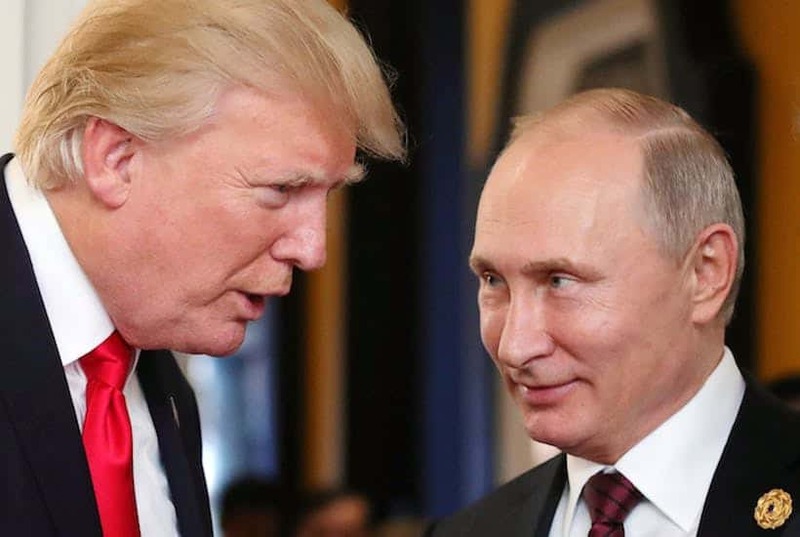 According to officials with knowledge of the investigation, the focus was on whether Trump was working against American interests knowingly or if he had inadvertently been influenced by Russia in the 2016 campaign, and whether that had anything to do with Comey’s termination. Trump publicly insinuated that his choice to fire Comey as FBI director was related to the Russia investigation, and this raised suspicions as to whether it was an attempt to stop the inquiry and protect Trump from being exposed as a Russian agent. As the partial government shutdown nears the end of day 22, it is now the longest shutdown in American history. 800,000 workers remain furloughed without pay with no indication of a resolution. President Trump has clearly stated he will not reopen the government until Democrats allow $5.7 billion to be carved out of the federal budget for a border wall. Attempts by the president and his administration to create fear and confusion made headlines several times this week. 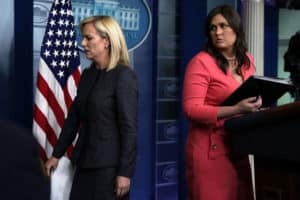 Secretary of Homeland Security Kirstjen Nielsen and White House press secretary Sarah Huckabee Sanders both claimed last week that Customs and Border Protection (CBP) stopped almost 4,000 terrorists from crossing the southern border in 2018. Contradictory to that statement, NBC News obtained CBP data showing only six immigrants whose names matched those of known or suspected terrorists were encountered on the southern border in the first half of 2018. 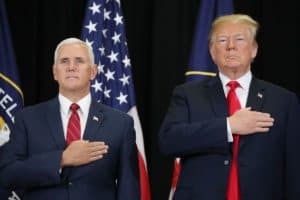 Vice President Mike Pence attempted to explain what President Trump meant when he claimed some previous presidents “have told me that we should have done it” in regards to building a wall at the southern border. Each of the four surviving ex-presidents of the U.S. has denied this claim. President Trump addressed the country from the Oval Office on Tuesday, reiterating the need for a wall to address what he called the “humanitarian crisis” at the southern border. 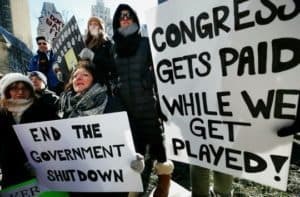 Trump claimed “the federal government remains shut down for one reason and one reason only” and according to him that reason is Democrats. Though Democrats have offered $1.3 billion for border security, Trump wants over $5 billion in funding specifically for a border wall and will not settle for less. Trump further claimed that 300 American citizens a week are killed by heroin, and 90 percent of it “floods across our southern border”. While most heroin smuggled into the U.S. does come across the southern border, it comes through legal ports of entry according to information from a National Drug Threat Assessment. Therefore, a wall would not stop it. Furthermore, a report from the president’s opioids commission dated last November stated that “we are losing this fight predominately through China”, not Mexico. Trump also claimed that Mexico will pay for the wall indirectly through a new trade deal, then said the wall will actually pay for itself. House Speaker Nancy Pelosi and Senate minority leader Chuck Schumer responded to Trump by demanding an end to the shutdown. 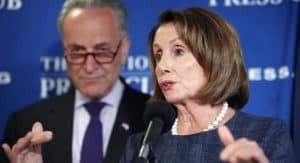 Pelosi accused Trump of holding the American people hostage in a “manufactured crisis”. They argued in favor of maintaining the existing fence and investing in increasing personnel and tools for use at the southern border. The day after his televised address, Trump walked out of a meeting with Pelosi and Schumer, then declared it a “total waste of time” on Twitter. While Trump applauded himself for shutting the meeting down quickly, Democrats accused the president of being indifferent to federal workers who are currently without pay. Reportedly, when Trump was asked why he wouldn’t reopen the government, he responded by saying, “because then you won’t give me what I want”. Soon after the meeting started, the president claimed he said “bye-bye” before abruptly leaving. Pelosi alleged the meeting was never about negotiating and was simply staged so that Trump could walk out. Schumer described the meeting by saying, “we saw a temper tantrum because he couldn’t get his way, and he just walked out”. President Trump then stated he is within his right to declare a national emergency if Democrats do not give him funding for the wall. Pelosi predicted that if Trump does that, he would have to answer to the Republican party for “usurping” power. Trump’s former campaign manager, Paul Manafort, has been accused of sharing polling data with a Russian business associate. When entering a response to charges made by special counsel, Manafort’s lawyers accidentally filed a version of the document which had not been redacted and allowed for the revelation to become public. 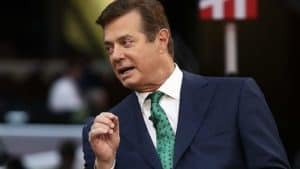 Manafort resigned from Trump’s presidential campaign after five months when it was allegedly discovered he had previously worked as a pro-Russia foreign agent in Ukraine, but FBI wiretaps proved that his communications with the president continued after his resignation. Manafort has been convicted of numerous counts of financial fraud and is awaiting sentencing. According to a statement from Michael Cohen, Trump’s former attorney, Cohen will testify before the House Oversight Committee “in furtherance of my commitment to cooperate and provide the American people with answers”. This will give Cohen a platform to tell his story and to be questioned by the committee. Unfortunately, Cohen’s credibility is questionable due to a history of lying to Congress. 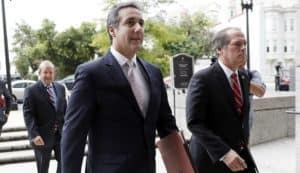 However, as a longtime lawyer for Trump, Cohen had access to important information — allegedly including a plan to build Trump Tower Moscow — and could provide details about the president’s transgressions. He claims he lied to Congress for Trump and would like the chance to give a credible account. Trump previously denounced Cohen for his cooperation in the Mueller investigation, calling him “weak” and a “rat”. He has yet to publicly comment on news of Cohen’s upcoming testimony.